If you have a business and need a substantial amount of room for tools or storage, the 2010 Chevrolet Express Van is hard to top. A choice of four powerful V8 engines, varied towing capabilities and optional all-wheel drive makes the Express Van perfect for business and family use. Strong vehicle with great steering and transmission. Had to replace tires on twice with 200,000. miles. Came with a defective paint job. Had to have it repainted in the same color. Great vehicle for towing over 9,000 lbs. Great for large families on the go with great gas mileage. Seats can also be removed as needed when traveling or shipping large items such as a sofa or desk. Multi-use vehicle for the price. Great work van for small businesses. It is a great van, no major repairs serviced regular. Good riding vehicle. Comfortable. Fair mileage per gallon. Works well for my needs. Only repairs were new tires and cruise control switch. Great work van with plenty of cargo space. 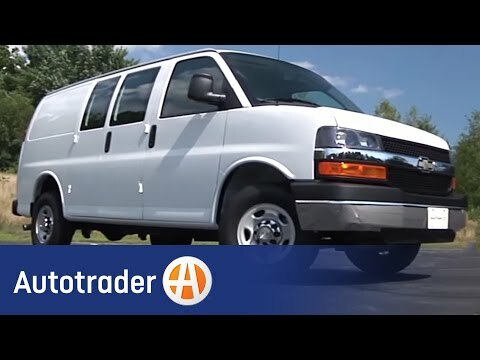 Highly recommend it for someone looking for a good work van. DEALERS WILL INSPECT AND REPLACE ANY SUSPECT GENERATORS IF NECESSARY FREE OF CHARGE. THE SAFETY RECALL IS EXPECTED TO BEGIN ON OR BEFORE APRIL 12, 2010. OWNERS MAY CONTACT CHEVROLET AT 1-800-630-2438 AND GMC AT 1-866-996-9463 OR AT THE OWNER CENTER AT WWW.GMOWNERCENTER.COM.